Dr Jeffrey Hall and Dr Julie Blaze at the revamped medical centre. PHOTOS: Warren & Diana Ackary. ONE of the oldest medical practices in Australia was officially ‘re-opened’ at Bulli on Friday after a major expansion and renovations. 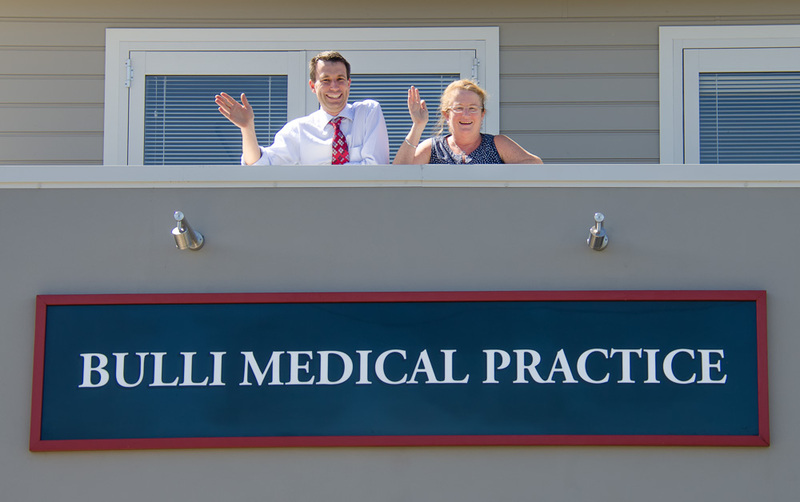 The Bulli Medical Practice will officially opened at its newly renovated premises at 74 Park Road. The practice received a Federal Government Primary Infrastructure Grant in 2010. The completed renovations have seen increased waiting space for patients, more consulting rooms and education/meeting space for staff, trainee doctors and nurses. Southern IML Pathology are now co-located, and the increased space has allowed for additional services including podiatry, psychology, physiotherapy, and dietetics. 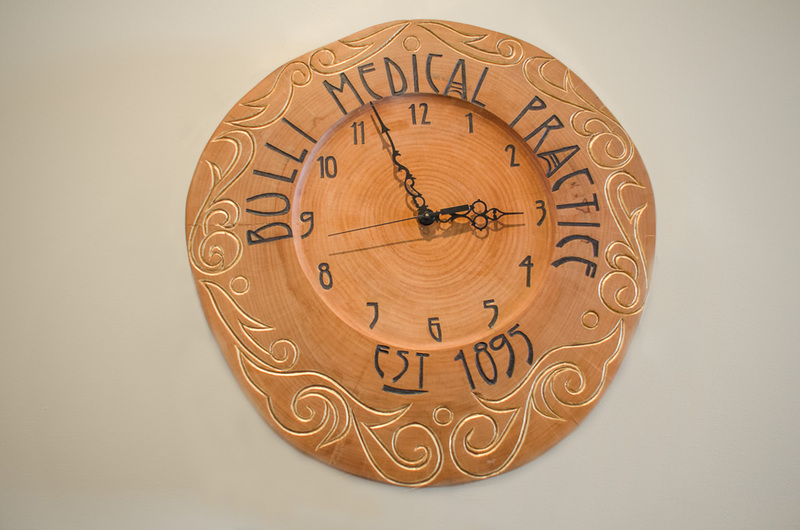 Bulli Medical Practice now offers extended hours from 8am to 8pm weekdays, and 8am to 12 noon on Saturdays. 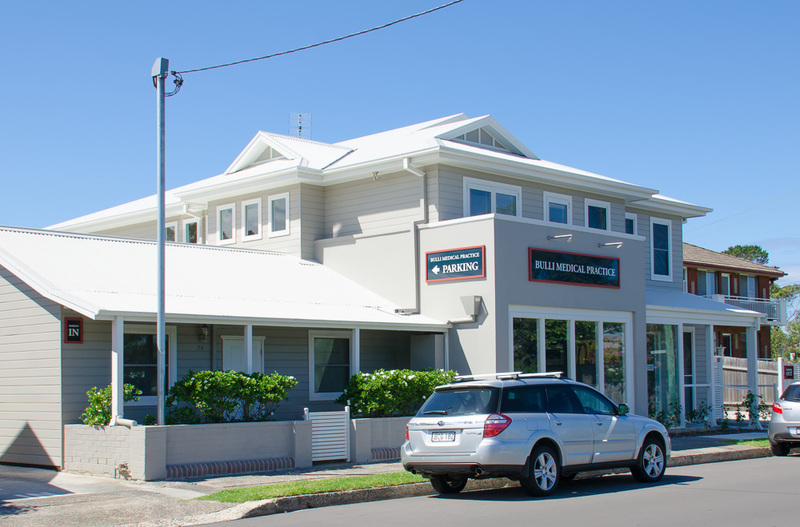 While the building and décor are new, the practice itself has been caring for patients of the northern Illawarra since 1895, and is one of the oldest medical practices in Australia. The clock made from the Norfolk Island Pine. The history of the practice was celebrated at the opening, along with a clock that was constructed from a 100 year-old Norfolk Island pine that grew alongside the practice, until it was cut down in 1981. Practice owners Dr Jeffrey Hall and Dr Julie Blaze officially opened the premise and thanked all involved in the renovation including builder Paul Matts, and designers, Nadine Ryan and Evelyn Schuster on Friday. The Bulli Medical Centre has operated from this Park Road site for over 117 years. 1895 – 1902: Dr Clifton Sturt. 1903 – 1916: Dr Barton James. 1916 – 1938: Dr Frances Crossle. 1938 – 1958: Dr Bertram Cook. 1958 – 1997: Dr William Feneley. 1997 – Dr Julie Blaze.